Designed to be one of the most technologically advanced cruise ships in the world, Anthem of the Seas has made a name for itself as one of the premier cruise ships in Royal Caribbean's fleet. She debuted in 2015 and combines first class style, exquisite dining and original entertainment productions to provide an incredible cruise experience. Anthem of the Seas is the sort of cruise ship that has something for everyone to enjoy, whether you are new to cruising or an established veteran. Just looking at Anthem of the Seas it becomes quite clear that is a lot to see and do onboard, but first time cruisers will find the experience to be easy to navigate. In fact, Royal Caribbean designed this class of cruise ships with first time cruisers in mind. 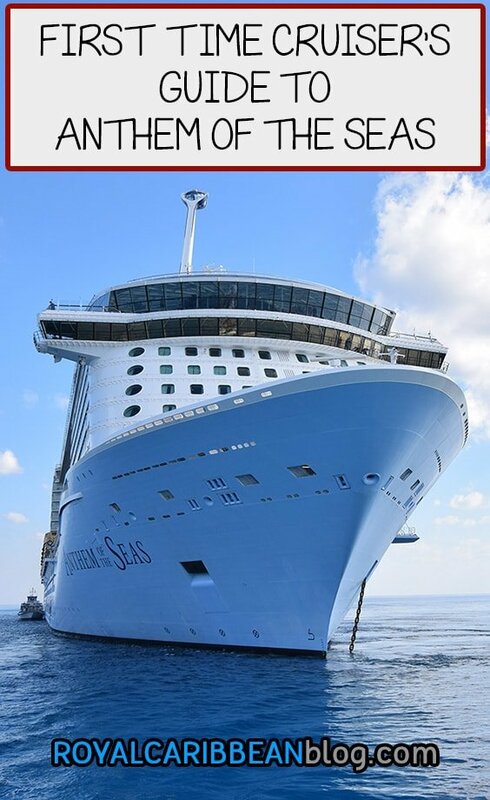 If you are trying Anthem of the Seas for your first cruise, or just first sailing on her, we provide this planning guide to aid in becoming acclimated with the ship quickly. Here is your quick-start guide to Anthem of the Seas! Anthem of the Seas is a Quantum Class cruise ship, and first debuted in 2015. This 4,180-passenger ship offers a lot of entertainment and dining onboard, and is best known for some of the headliner attractions, such as bumper cars, the observation pod that takes guests 300 feet above sea level, and a skydiving simulator. At the heart of Anthem of the Seas is an area known as the Royal Esplanade, which is a dining and shopping district right in the middle of the ship. It is the main thoroughfare for guests on the ship, going from one part of the ship to the other. It is also a hub of activity and stretches from one end of the ship to the other. The Royal Esplanade connects to an area known as The Via, which offers high-end shops, restaurants and drinking venues. Elsewhere, guests will quickly pick up on distinct areas of the ship that make navigating the vessel more tangible. The SeaPlex is an indoor hub of physical activities. You will find basketball, bumper cars, table tennis, foosball, XBox Live, Circus School and a whole lot more to do there. The activities vary from day to day, so check the Cruise Compass for more information on specific programming. Typically, teens and older children enjoy the options found in the SeaPlex. At the rear of the SeaPlex, guests can venture outside to experience the FlowRider surf simulator and Ripcord by iFly skydiving simulator. Two70 is an area at the aft of the ship, which gets its name from the fact it has a two hundred and seventy degree view of the ocean. Some of the signature Royal Caribbean entertainment is found in Two70, and it is also where many other events are held, such as lectures, meet-n-greets and more. Be sure to check out the amazing robot screens found in Two70 as well. In terms of crowds, despite the fact Anthem of the Seas can accommodate over 4000 passengers, she handles crowds exceptionally well. When designing this ship, Royal Caribbean wanted to deliver some game-changing features and to make that happen, they needed to build a larger ship. Royal Caribbean re-thought the flow of passengers on Anthem of the Seas, and that resulted in a large ship feeling less crowded than more traditional cruise ships. By offering multiple show performances, having more activities scheduled, crowds are dispersed because they do not feel they have to be at a certain place at a certain time. Getting acclimated to where everything is on Anthem of the Seas is best accomplished by walking around and exploring the ship early. Royal Caribbean packed Anthem of the Seas with impressive activities and entertainment, so the earlier you can get around the ship to see it all, the more great things you might discover. We especially love the 3,000 piece art collection that is based on the theme, "What makes life worth living." Be sure to always be looking up, down and around you anywhere on the ship, because there are many wonderful pieces to discover in this extensive art collection. Dining is at the heart of Anthem of the Seas, with many complimentary and extra-cost venues. Royal Caribbean wanted to ensure there was plenty of options for guests to choose from, as well as a good variety of culinary choices. Guests will find the various eateries onboard fall into one of two categories: complimentary and specialty. Complimentary dining options are included with your cruise fare and guests can enjoy as much food as they like from these locations. There is at least one complimentary option open at anytime during the day or night, with often quite a number of great choices. The alternative dining option are specialty dining, in which there is an additional cost to dine there. Specialty dining costs can come in the form of cover charges (pay one fee and get all the food included) or a la carte charges (pay for only what you order). In general, specialty dining offers food and cooking styles not available elsewhere on the ship for guests that choose to indulge in them. New cruisers often have questions about the importance of paying for specialty restaurants, as well as the quality of food provided in the complimentary dining venues. First and foremost, the food offered in complimentary restaurants is ample and tasty. You could go your entire cruise on Anthem of the Seas and never spend a dime on food and leave your sailing full and satisfied. Specialty dining is an option for guests who want something more than what is offered in the complimentary dining, with an emphasis on certain foods that are otherwise unavailable all the time. Think of specialty dining like you would going out for dinner versus staying home and cooking something. You would be perfectly content with a home-cooked meal, but going out for dinner is a nice treat that comes with a higher cost. When considering specialty dining, it is not imperative anyone go to any of the specialty restaurants, but we feel it is a good idea to give a couple of specialty restaurants a try. Royal Caribbean put a great deal of emphasis on its specialty dining options and enjoying a specialty restaurant or two will likely not break anyone's budget, and can really enhance your cruise experience. Here is an overview of the complimentary and specialty dining options you can pick from on Anthem of the Seas. We feel a most guests tend to dine mostly at venues such as the main dining room and Windjammer, and will occasionally visit venues such as The Cafe @ Two70 or Cafe Promenade for snacks or light meals. These options can provide plenty of great food to enjoy and are open most of the day. Coastal Kitchen is a complimentary restaurant dedicated to suite guests only. Guests who are in a Grand Suite or above, can dine in Coastal Kitchen for breakfast, lunch and dinner (Junior Suite guests may dine in Coastal Kitchen for dinner only). Coastal Kitchen provides excellent service, as well as a fusion of Mediterranean influences with California food. In terms of the specialty dining on Anthem of the Seas, there are some excellent choices all around. If more than two look appealing, you might consider a dining package to save money on the total cost of dining at each. Our top picks are Wonderland, Jamie's Italian and Izumi. Royal Caribbean offers a great deal of things to do onboard Anthem of the Seas, which will mean lots of fun activities and events throughout your cruise. Anthem of the Seas can feel like a floating city with all the activities onboard. The ship bustles with planned events, swimming pools, sports, shows and plenty more. Your guide to knowing what is going on and when is the Cruise Compass. Every Royal Caribbean ship offers a daily Cruise Compass, which is part newspaper and part TV Guide. It documents everything happening during that day, and it is a must-read for any guest onboard. A copy of the Cruise Compass will be delivered to your stateroom each evening by your stateroom attendant. Guests will find world class entertainment on Anthem of the Seas, with some amazing shows throughout your sailing. Royal Caribbean has included the entertainment in your cruise fare, which feature shows that might otherwise feel like a production fit for Las Vegas. There are West End shows, robot shows, full production musicals and a whole lot more. The West End musical, "We Will Rock You" is the premiere show on Anthem of the Seas, which is the spectacular Olivier Award-winning musical phenomenon seen by over 6.5 million people. Written by legendary comedian and author Ben Elton and with a score of killer Queen tunes such as "Radio Ga Ga", "I Want to Break Free", "Bohemian Rhapsody" and of course "We Will Rock You", it is a fun show that will have you singing along the songs everyone seems to know. In Two70, the expansive ocean view is transformed into a seamless video projection that includes robotics and human artistry. The headline show in Two70 is Spectre's Cabaret, which is an original Royal Caribbean production that blends live performance and experiential cinema along with music from popular culture. You will also find floor-to-ceiling shows, known as Vistarama, where 18 projectors combine to create an ambient surface over 100 feet wide and over 20 feet tall. These shows come to life in 12k resolution. There is another Royal Caribbean original production in the Royal Theater, called The Gift. It is a touching musical show that combines fantasy and illusion. Honestly, it is hard to describe what The Gift is all about, but it is an intriguing performance. If live music is more your thing, each night in Music Hall there will be live performances to enjoy, which you can get up and dance to or simply take it all in. Music Hall is part rock 'n roll and part club, rolled into one. When planning your cruise, be sure to carve out time for these shows. The performances in the Royal Theater and Two70 are must-see events. Considering there is no additional cost to see these shows, you will want to check them out because Royal Caribbean has put a lot of energy and talent into the performances. One important tip if you are new to cruising is on Quantum Class ships, is you can book your entertainment in advance from the comfort of home. Select shows offer the ability to book reservations in advance via Royal Caribbean's web site. There is no cost to do this, and we recommend booking any entertainment you can in advance to avoid lines at show time. All you have to do is go to My Cruises and then log in (register an account if you have not done so already). Then find your cruise reservation and go to the Cruise Planner. A few clicks later and you should be able to reserve your entertainment. Keep in mind that reservations for entertainment is usually available for booking 64-60 days in advance of your cruise. Check our planning timeline for more information on when things like entertainment can be reserved. Anthem of the Seas features a number of pools for guests to enjoy, with options that should allow for swimming regardless of the weather outdoors. 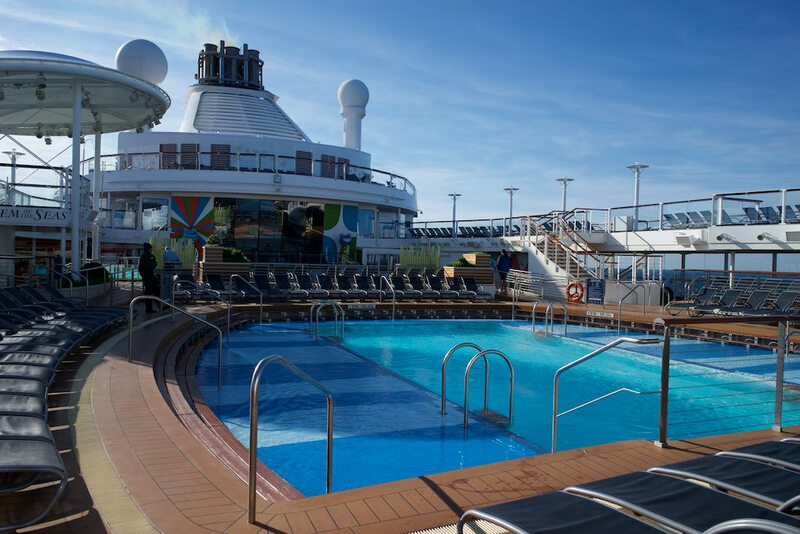 There are three pools, and all pools are located on Deck 14. Solarium: Adults-only (age 16 and over) pool area has multiple cascading pools in the center, along with a few hot tubs too. Indoor pool: The indoor pool is a large swimming pool open to all guests, which has a retractable glass roof. This climate-controlled pool ensures swimming for all guests is possible regardless of the weather. Outdoor pool: The primary pool for all guests in the center of the deck, and home to many events. H2O Zone: Kids pool area that features a wave pool and whirlpool. Young children who wear diapers are only permitted in the Baby Splash Zone pool, which is designed specifically for them. Children wearing diapers are not allowed in any other pools. Guests will find many activities on sea days around the pool. Quite often there is live music playing at the pool that provide the perfect backdrop to spending a day at the pool. Anthem of the Seas has at least one licensed lifeguards stationed at every pool during all open hours. They wear noticeably visible in bright red and white uniforms. When going up to the pools, be sure to stop by the towel station to pick up as many towels you may need during your time there. Complimentary pool towels are provided for guests near the main pool and can be returned when convenient. When you hear about Anthem of the Seas, inevitably a few activities always seem to be mentioned in the same breath. Royal Caribbean designed the ship with impressive features that are available only on Quantum Class ships. Anthem of the Seas has plenty of traditional cruise activities, such as bingo, trivia, demonstrations and more, but the ship is known for some noticeable activities that are as fun as they are intriguing to watch. Plus, they are complimentary to enjoy. All of these activities are available for guests to enjoy for most of the day. 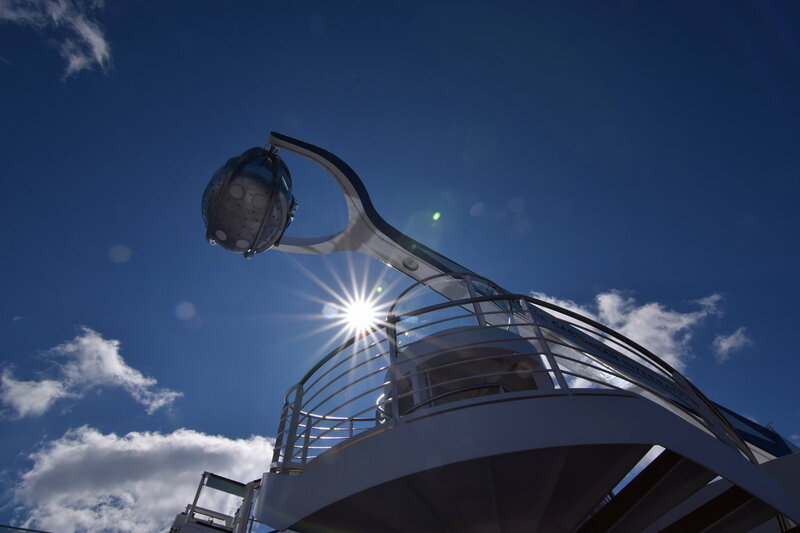 There will be posted hours in the Cruise Compass and plenty of opportunity to experience once or many times. For North Star and Ripcord, be sure to make reservations in advance of your sailing on Royal Caribbean's Cruise Planner. These two activities are extremely popular, and as a result, time slots for them will sell out quickly. While there may be some availability to reserve them once onboard, your best bet is to make reservations as soon as you can online to assure yourself of a spot and a time that is convenient to your schedule. 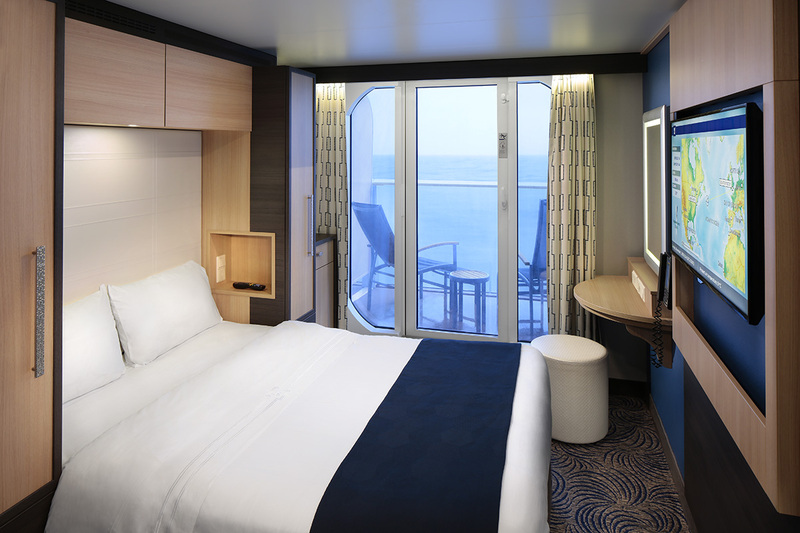 There are many stateroom choices on Anthem of the Seas, with great options for groups small or large. There are traditional cabins categories, as well as a few new categories that blend categories together. Depending on your budget, family size and preferences, there are quite a few options to consider. As is the case with all Royal Caribbean ships, Anthem of the Seas cabins fall into four distinct categories. The price for any of these rooms will depend on factors, such as time of year, demand for rooms on the particular sailing, and how many guests in each room. You can refer to our guide to choosing a stateroom for more information on the basics, although there are some special room types worth discussing. 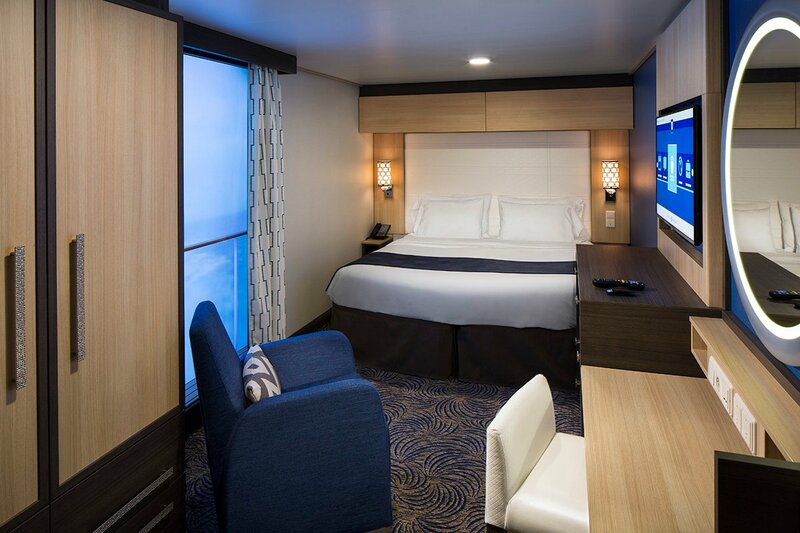 If you are looking to cruise solo, the studio staterooms are designed specifically for you. Studio staterooms on Anthem of the Seas offer a room with just enough room for someone traveling alone, without the single supplement cost that is usually associated with solo cruising. There are two types of studio staterooms on Anthem of the Seas. There are only about 26 total studio rooms on Anthem of the Seas, so be sure to book one as soon as possible if you would like to stay in one. Virtual balcony rooms are 80-inch LED televisions that are in inside staterooms on Anthem of the Seas that provide live HD views from outside the cruise ship, right into your stateroom. Rather than have an inside stateroom that has no view at all, Royal Caribbean offers interior staterooms with a virtual balcony that can provide a real-time look at what is happening outside. The screens are 4K ultra high definition capable screens that stretch from floor to ceiling and receive a video feed from the ship's cameras that are mounted at the stem and stern of the ship. In recent years, Royal Caribbean has begun offering on its Quantum-class ships a new type of Junior Suite, known as the Spa Junior Suite. 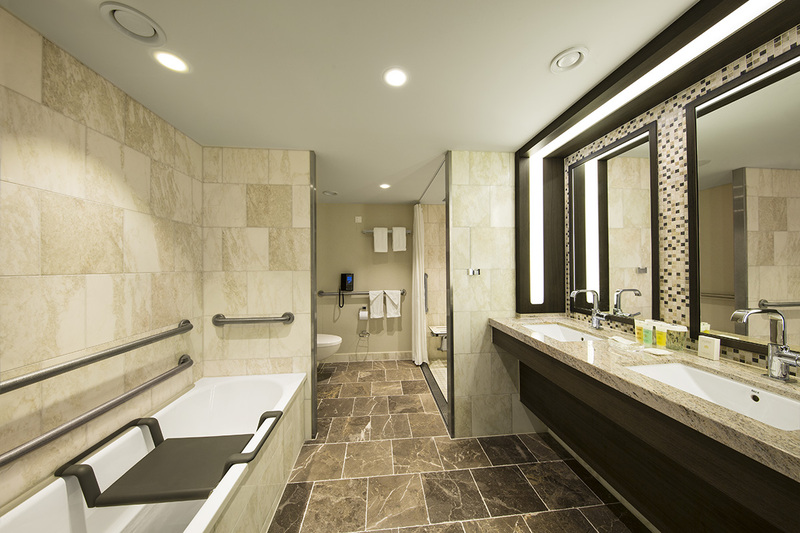 The Spa Junior Suite comes in at 267 square feet and offers a large, spa-inspired split bath with soaking tub. There's also a shower with frosted glass wall that allows natural light from living area. The bath tub also features a rain shower head and a hand held shower head. Among the different suites available are loft suites, which are a Quantum Class option that come with two floors of living space, in addition to a large balcony. The two floors break up the room and offer an unique option for guests that want something more than a traditional suite experience. 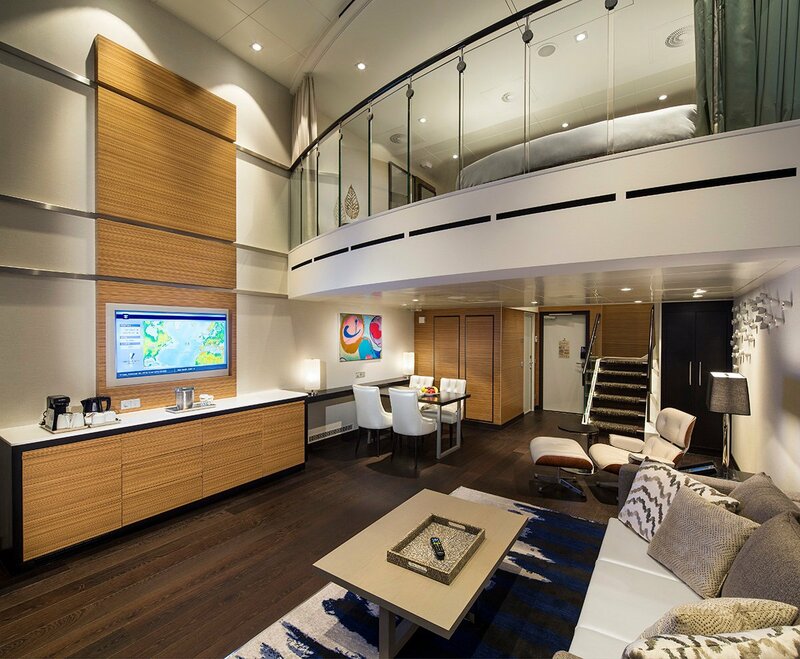 It offers a lot of space for a small footprint and are part of the revamped suite program that Royal Caribbean unveiled in 2016, known as the Royal Suite class. If you are bringing kids with you on your Anthem of the Seas cruise, they will have lots to do onboard. Anthem of the Seas features one of the largest dedicated areas for children on any Royal Caribbean ship. Royal Caribbean refers to its children's programming as Adventure Ocean. Adventure Ocean is divided into three age-appropriate groups. Children must be registered and fully toilet trained to take part in activities. There are dedicated spaces for each age group, plus specialized areas like science labs and a theater for enhanced programming. Plus, Royal Caribbean has partnered with DreamWorks Animation to offer the DreamWorks Experience, which has character meet-n-greets throughout the ship, parades, movies and integration into the Adventure Ocean programming. Adventure Ocean is open most of the day, but their hours vary depending on if it is a port day or sea day. On Sea days, Adventure Ocean can open as early as 6:30am. Guests that have Royal Caribbean excursions booked and need to drop their children off earlier, can arrange with Adventure Ocean for that benefit. For lunch, kids are brought to Wipe Out Cafe or Windjammer between noon and 1pm, and then again to the Windjammer for dinner between 5pm and 7pm. Adventure Ocean programming is included with your cruise fare. The nursery operates with similar hours to Adventure Ocean, although there is an hourly charge for nursery services. The hourly rate depends on if it is daytime or nighttime. Adventure Ocean closes at 10pm, but parents can leave their children with Adventure Ocean until 2am for an hourly fee. The Late Night Party Zone runs from 10pm to 2am in Adventure Ocean, and is billed at $7 per hour, per child for children who remain after 10pm. Tweens and teenagers also have their own club, plus a variety of activities onboard dedicated to just them. Teens meet at the Living Room, on Deck 14 aft, and also have exclusive access to their own disco, known as Fuel on deck 15. Teens are free to come and go as they want, and curfew for all cruisers younger than 18 is 1 am. unless they're supervised by a parent. Royal Caribbean offers daily programming for teens, with their choice of as little or as much as they want to do. This includes things like teens-only FlowRider time, speed climbing on the rock wall, prom night, glow in the dark party, teens-only FlowRider time and more.